Mongan Bog is perhaps one of the most significant bogs not just in Ireland or indeed Europe, but in the entire world. Situated beside the monastery of Clonmacnoise, one of the world’s most historic sacred sites, the bog has dazzled and captivated visitors for many centuries. Pilgrims travelling from Europe to Clonmacnoise along the ancient ‘Pilgrims Road’ (which runs alongside and overlooks the bog) would have been amazed at this domed peatland as nothing similar would have been found elsewhere in Europe at the time. Fast forward many hundreds of years later to the 1970’s, and Mongan Bog would prove to be the inspiration behind a Dutch-Irish movement that went on to save many Irish bogs. It is part-owned by An Taisce, a charity working to preserve and protect Ireland’s natural and built heritage. As one of the best-preserved raised bogs in Western Europe, it continues to amaze and inspire today. It is thought that Mongan Bog SAC is over 9,000 years old, forming in a basin between two east-west trending eskers. The deep peat of today originated in a shallow lake basin and its elevated dome grew upwards due to the accumulation of peat over time. At first glance Mongan Bog might seem a little flat and featureless but in reality the bog has that distinctly irregular terrain typical to active raised bogs with patches of varying wetness and an abundance of open water pools. Mongan Bog SAC is located just over 1.5km from the Clonmacnoise National Monument and the mighty River Shannon, and 12km south of Athlone. 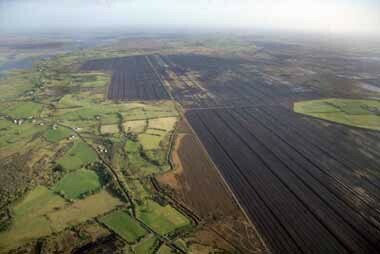 It is recognised internationally as being one of the last remaining (mostly) intact midlands raised bogs in Ireland. If you look at the entire length of the Shannon from the air, you will also find that Mongan is one of the last relatively intact bogs along the river, which has been prone to serious flooding in recent years, much of which can be attributed to the loss of these natural sponges along its length. 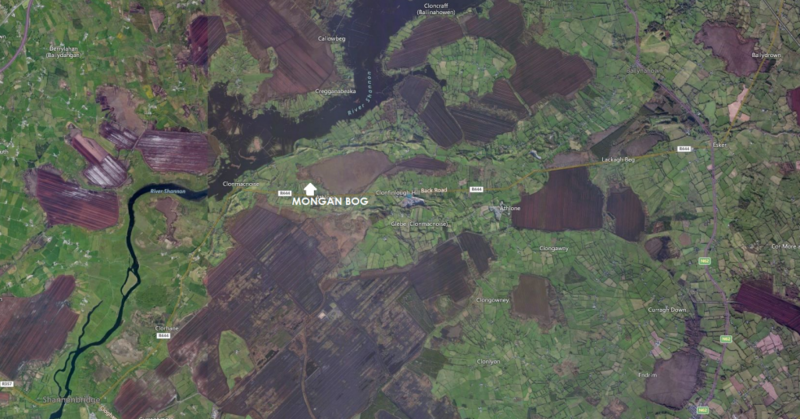 In this 20km x 12km aeriel view from Bing Maps, Mongan Bog (centre) stands isolated amid a network of strip-mined bogs, the peat from which was used for power plants such at Shannonbridge and Ferbane. Another of our project sites, Ferbane Bog SAC is to the bottom right of the photo (Endrim). Mongan Bog covers an area of over 205 hectares, and the LIFE project aims to improve a considerable amount of this over the next five years. An Taisce own some 119 hectares of this wonderful site. A wet living bog with Active Raised Bog covering almost 40% of the high bog area, Mongan is flush with classic hummock and pool formations over a large proportion of the surface. 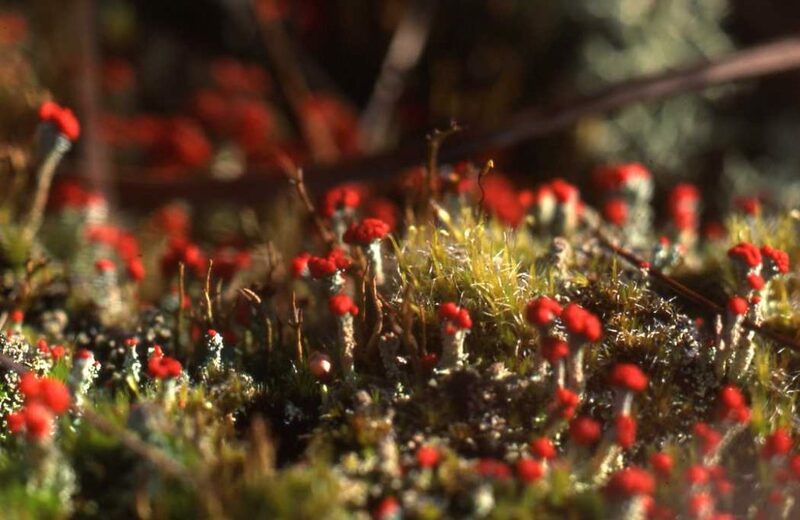 There is a high density of sphagnum mosses – with cover reaching almost 90% in some places. It’s central sphagnum lawn is alive and well and, like all good raised bogs, the higher you go on Mongan, the wetter it gets. Degraded high bog covers 60% of the high bog area. Some of the hummocks on Mongan are over 150cm high and – according to a Trinity College study in 1987 – they hold a midlands record for raised bog hummocks! 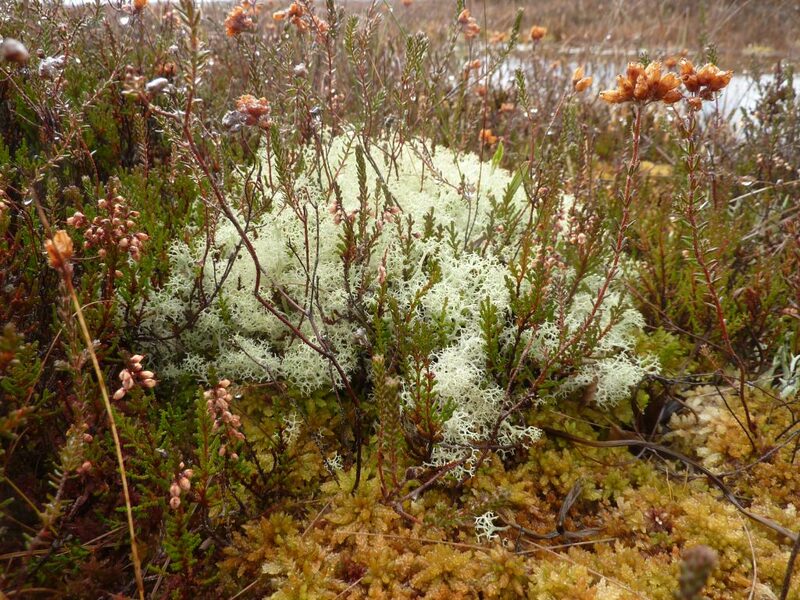 The hummocks are home to a wide variety of plant-life, including ling heather, cross-leaved heath, bog rosemary, cranberry, bog cotton, round-leaved sundew and bog asphodel. Mongan has several features of special zoological interest and although a classic midland bog, it has some features and species of western raised bogs. Scenically Mongan is part of area landscape rich in intact natural features and also rich in biodiversity supporting important habitats (Shannon Callows, eskers, limestone pavement) which enhances its importance even more. In ancient times Mongan would have been one of the smaller raised bogs in the area, and today we estimate that 40.5% of the original dome remains. But it was equally as important as its Shannonside neighbours, soaking up floodwater and supporting an incredible array of life. But the bogs of this part of Offaly/Westmeath have seen better days and the majority of them – especially the bigger bogs – have been damaged by human interference, especially since the 1960’s. Mongan used to be the smallest, but now it holds the greatest area of active raised bog in this area. Mongan’s lowest strata are thought to be among the oldest in Ireland. 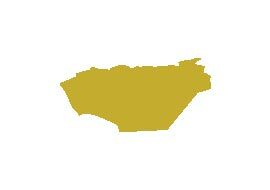 Due to this, it remains as a tangible link to the past, as little has changed for the bog since the time of the monastic settlement. The preservation of this bog is increasingly important it is estimated that less than 0.5% of the original area of raised bog in Ireland is supporting active peat forming raised bog habitat. They are our oldest surviving ecosystems, and it is our duty to keep what’s left alive. The Living Bog project will, in some way, restore a little piece of this iconic Irish landscape to leave a large legacy for future generations. 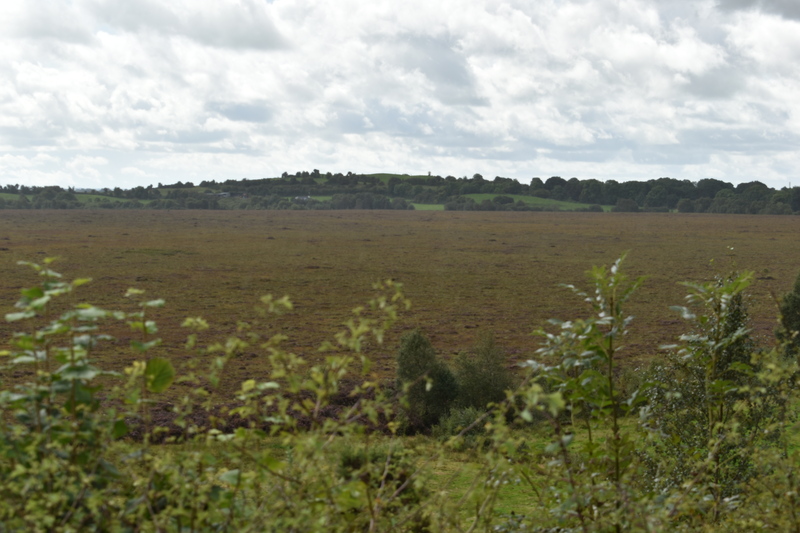 Mongan Bog is perhaps one of the last surviving raised bogs along the ENTIRE length of the River Shannon. This adds hugely to its significance. Of the 310,000 hectares (750,000 acres) of raised bogs of Ireland mapped in the early 1800’s, just 1% is said to be active, living, raised bog. The majority of damage done to our bogs happened post-mechanisation. the machines came onto Irish bogs in the 1940’s but it was from the 1970’s on that the pace of mechanisation really took off, and the majority of raised bog in Ireland was lost in the last 40 years. 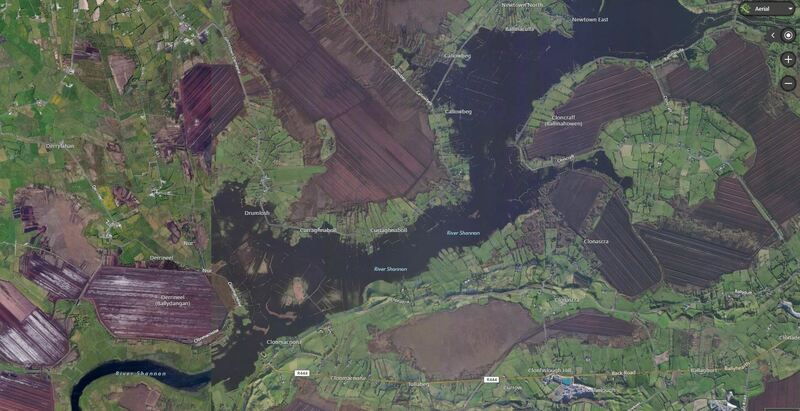 This is clearly visable when you compare these aerial images of Mongan Bog and its surrounding, neighbouring bogs from the early 1970’s and those of Bing Maps, taken in the early 2010’s. 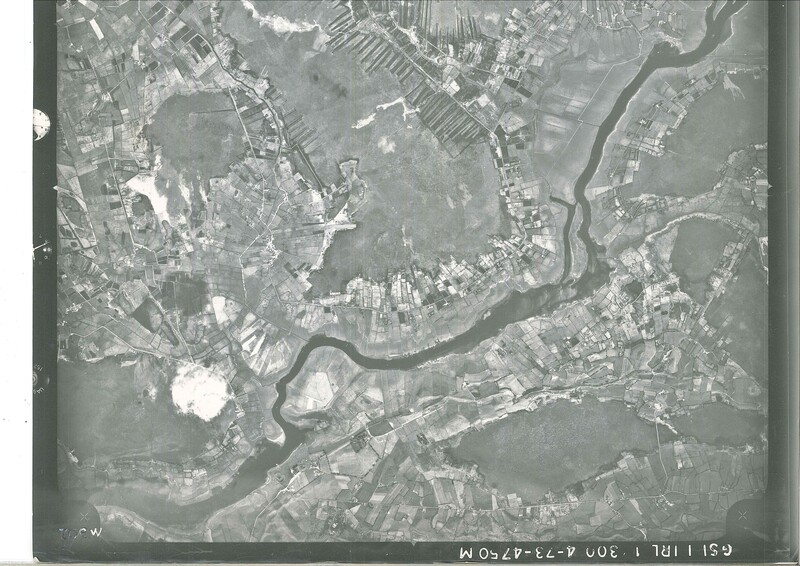 Mongan Bog (bottom right) in the early 1970’s. Pic courtesy of NPWS archives. It’s surrounding Shannonside bogs were largely untouched, with Turbary peat extraction common across the river. Mongan and surrounds, from Bing Maps 2013. Mechanisation did not impact in the 1970’s but as is evident from this picture, it has had a dramatic impact on the integrity of the Shannonside bogs close to Mongan Bog and Clonmacnoise.